Yes, Zencha *does* have an EMS option. It is item #3 on the Checkout page. Regular airmail shipping is the default option, though. I cannot really review these per se ... yet, as they are part of OTTI 14 Hakoniwado Shincha from Yame ... but they are reallllly good! And a picture usually says a 1000 words, though mine say much less. 88 Night from Hakoniwado served up in "Sendai" Hagi SSO ... this wan is donned Fuji due to the interior glaze effect. Brewed up in Touju kyusu. Also OTTI 14, Botan ... woo ... good stuff! 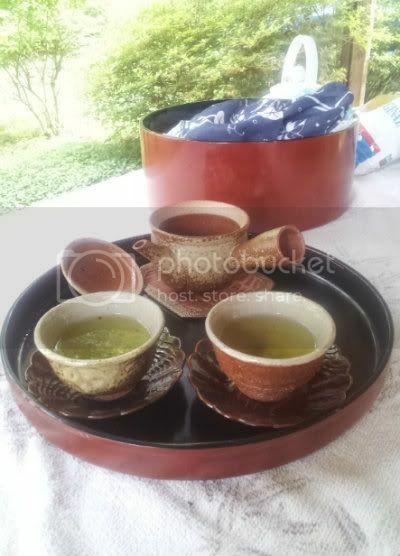 Brewed up and served in a Shigaraki set ... and this was a road show thus the century-old "Chabitsu." I realized I had a smeared lens too late. robbie_olive wrote: Shincha ordered from Zencha.net hasn't come! I ordered and paid for 3 packets of Shincha from zencha.net (Yame Shincha the Ultimate, Kagoshima YM & YM Premium) on the 23 May. They told me in an email that it will take about 7-10 days to arrive, plus it could be delayed due to Customs (which in Australia it seems they always love to put it thru quarantine before it's sent to the post office.) They also informed me that because they're coming straight from the manufacturer, that there will be 2 separate packages. I am STILL yet to receive my shincha, even though it has been 3 weeks since I ordered it. Should I be worried; should I wait another few days or should I email zencha.net straightaway? I'm a little annoyed that zencha.net don't provide an EMS option for tea shipments, whereas other online stores do. My shincha finally arrived after 3 weeks in transit. I asked the post office what the hold up was and they said it had been in Australia since the 31st May, 8 days after I had purchased it! They didn't bother to leave a notice in my PO BOX to tell me that it had arrived! AND I even asked them if a tea package had arrived last week, and they said NO! What idiots! As to the shipping on Zencha.net, I can't recall the option for EMS for the tea packages, only for pottery items, but I may have overlooked it when I was purchasing at the time. Oh well, now I enjoy my Yame and Kagoshima shincha! That is very good news, robbie! And disturbing too! I am looking at O-Cha's new organic lineup! 7 new offerings! The prices look really good too. 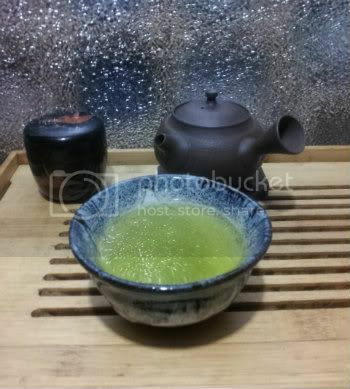 I asked Kevin about the new one, Kanayamidori which is bottom dollar priced at 12.35 USD per 100 grams, Kevin indicated it was simply a great deal that he is passing onto his customers and don't let the price fool you, it is quite tasty shincha/sencha. But he warned that it is LE and will not last too long at that price! Kanayamidori is one of my favorites too! That pot serving you well chip? Looks like it handles really nicely.